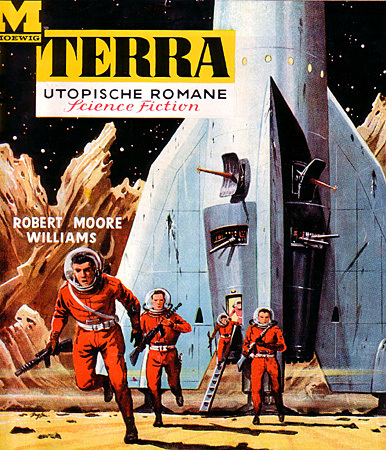 Among science fiction stories with space flight, the overwhelming majority are about combat, both between spacecraft and between futuristic ground troops. Not to mention the occasional starship marine assault trying to board a hostile ship while in flight. Yes, there are a few non-combat stories, mostly about exploration, but space combat is here to stay. 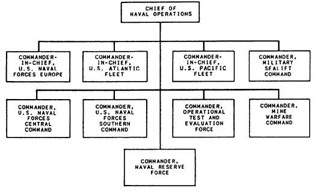 In this section is information about military theory and organization in general, even as it pertains to the present day. 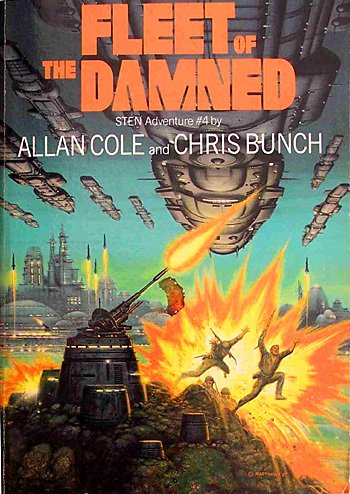 The next section focuses on the branches of the military as they may operate in a science-fictional rocketpunk future. Ken Burnside: So, you're design a game about the clash of whosamawhatsits — empires, democracies, concordances of the color mauve. Why do you have a military? What does it do for you? Historically, militaries can be thought of as insurance policies. "If you would have peace, prepare for war." During the Cold War, we prepared for a war that was unwinnable by any logical metric — all we could do was ensure that, if we were taken out, the Russians were as well. In large part, this is because we finally had a strategic weapon that had no counter. Now, fast forward to the 100 kps suicide ramming vehicle so beloved of the list. We'll assume it's got a thrust of 10 milligees — high enough that orbital mechanics translates into a bit of Kentucky windage. It's going to take a fair chunk of time (~1,020,000 seconds) to build up to its impact parameter. Call it, with course corrections, two weeks. At what point does its acceleration parameter make you worry? At what point do you throw diamondoid BBs into its approach path, just to be sure? Assume you can tell who launched it from looking at its approach vector. At what point do you set your own retaliatory strike in motion? What role does your military play in all this? How does it change when you're trying to protect assets across the solar system? Is there any asset that is so expensive that it's worth committing something as expensive as a military force to protect it? We don't send aircraft carriers out to protect lemonade stands, for one example. We used to (and arguably still do) send Marines to protect oil terminals. So what are you defending? Is it worth the candle needed to protect it? Are there any reasonable outcomes to an armed conflict other than "destroy everything"? Can you trust a surrender signal put out by something moving at 100 kps? Usually. Something easy to forget, since WW II still looms so huge in our perceptions, is that "unconditional surrender" is fairly exceptional. Most wars, even big ones, end on terms. War motivations can range from extermination to le sport des rois (The Sport of Kings). A common motivation that can be a bit problematic in space is real estate (and natural resources generally), because there is so much of it out there. Location, location, location still matters, but current geopolitics would be a lot different if there were dozens of other Persian Gulfs out there, worth reaching once oil hit $100/bbl. Anthony Jackson: (Ken Burnside,) Your bias is for Interesting Wargames (and interesting science fiction stories). This is an understandable bias, but not terribly relevant to realism. There's a high chance that space warfare winds up being based on a doctrine of massive retaliation and a small number of defended points, rather than defense. Issac Kuo: Hmm...you're saying that the attack vs defense balance is probably going to be heavily tilted toward attack. That's actually the balance which makes for Interesting Wargames. When the balance is tilted toward defense, you end up with tedious WW1 style slogfests, where it's hard to make any sort of progress. (ed note: see WW1 Trench Warfare) When the balance is tilted toward attack, that's when you can get a dynamic situation with lots of action. Rick Robinson: What is it to the defender whether you scrag his shipyards with purpose built munitions or kitty litter? Either way he loses the shipyards. The defender's only choice is to resist or not. If war is to the knife, he'll resist, and exact whatever cost on the attacker he can. If war is not to the knife, things get more interesting. As a defender I may prefer to surrender some objective, hoping to make you surrender it back to me later in the war. 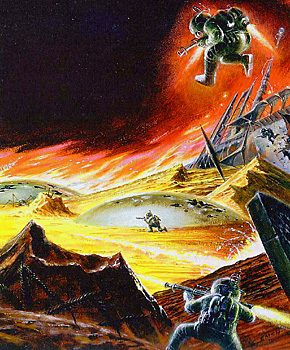 But to usefully accept my surrender you have to bring espatiers — to use Tyge Sjostrand's great alternate word for space marines — as a boarding and occupation party. That requires mass and equipment, paid for by sacrificing some torch drones or whatever munitions. So in a limited war, your ability to compel surrender is compromised by your ability to accept it. And of course the alternatives are not surrender without resistance versus fighting to the (robotic) death. A defending force may choose a test of arms before withdrawing and surrendering some objective. Author Jerry Pournelle often says that "the purpose of the army is to break things and kill people". This is true but more from the effect standpoint, not the cause standpoint. My USAF vet father taught me that in the United States Armed Forces the first principles of war is The ultimate military purpose of war is the destruction of the enemy's ability to fight and will to fight. So soldiers are trained to have the skill sets needed to perform their military's principles of war. Civilians may look down their noses at soldiers, but without the soldiers the civilians would be either dead or enslaved. "That is the situation, Gentle Homos." It was Lugard's voice now with a rasping, grating tone increased by the broadcast. "You cannot trust such treaties -"
"Perhaps you cannot, Sector-Captain." That was Scyld Drax. "The military mind is apt to foresee difficulties-"
"The military mind!" Lugard's interruption came clearly. "I thought I made it simple — the situation is as plain as the sun over you, man! You say you want peace, that you think the war is over. Maybe the war is, the kind we have been fighting, but you don't have peace now — you have a vacuum out of which law, and what little protection any world can depend upon, has been drained. And into this is going to spread, just like one of your pet viruses, anarchy. A planet not prepared to defend itself is going to be a target for raiders. There were fleets wrecked out there, worlds destroyed. The survivors of those battles are men who have been living by creating death around them for almost half a generation, planet time. It has become their familiar way of life — kill or be killed, take or perish. They have no home bases to return to; their ships are now their homes. And they no longer have any central controls, no fears of the consequences if they take what they want from the weaker, from those who cannot or will not make the effort to stand them off. You let this ship land — only one ship, you say, poor lost people; give them living room as we have a sparsely settled world — there is one chance in a hundred you read them aright. "But there are ninety-nine other chances that you have thrown open the door to your own destruction. One ship, two, three — a home port, a safe den from which to go raiding. And I ask you this, Corson, Drax, Ahren, the rest of you. This was a government experimental station. What secrets did you develop here that could be ferreted out, to be used as weapons to arm the unscrupulous?" There was a moment of silence. He had asked that as a man might deliver a challenge. Then we heard Corson. "We have nothing that would serve as such — not now. When the authorities forced certain of us to such experimentation, we refused — and when that authority left, we destroyed all that had been done." "Everything?" Lugard asked. "Your tapes, your supplies, perhaps, but not your memories. And as long as a man's memory remains, there are ways of using it." There was a sharp sound, as if a palm had been slapped down hard on some surface. "There is no need to anticipate or suggest such violence, Sector-Captain Lugard. I — we must believe that your recent service has conditioned you to see always some dark design behind each action. There is not one reason to believe that these people are not what they have declared themselves to be, refugees seeking a new life. They have freely offered to let any one of us come aboard while they are still in off-orbit — to inspect their ship and make sure they come in peace. We would not turn a starving man from our doors; we cannot turn away these people and dare still to call ourselves a peaceful-minded community. I suggest we put it to the vote. Nor do I consider that you, Sector-Captain, are so much one of us as to have a vote." "So be it-" That was Lugard once more, but he sounded very tired." 'And when Yamar lifted up his voice, they did not listen. And when he cried aloud, they put their hands to their ears, laughing. And when he showed them the cloud upon the mountains, they said it was afar and would come not nigh. And when a sword glinted in the hills and he pointed to it, they said it was but the dancing of a brook in the sun.' "
The Cry of Yamar! How long had it been since anyone had quoted that in my hearing? Why should anyone on Beltane? Yamar was a prophet of soldiers; his saga was one learned by recruits to point the difference between civilian and fighting man. Keeping in mind the purpose of the army re: things and people will tell you why soldiers make terrible police, and why militarizing the police is a very bad idea. At least in a democratic society, at any rate. The skill sets of soldiers and police are totally different. Militarized police are only useful for authoritarian governments oppressing the citizens. Such governments find it very handly to have police who are skilled at shooting people and blowing up buildings. Miss Beedle clapped her hands. “ Well, that's good, isn't it? You have them bang to rights! " It always embarrassed Samuel Vimes when civilians tried to speak to him in what they thought was "policeman." If it came to that, he hated thinking of them as civilians. ‘What was a policeman, if not a civilian with a uniform and a badge? But they tended to use the term these days as a way of describing people who were not policemen. It was a dangerous habit: once policemen stopped being civilians the only other thing they could be was soldiers. The Posse Comitatus Act is a United States federal law (18 U.S.C. § 1385, original at 20 Stat. 152) signed on June 18, 1878 by President Rutherford B. Hayes. The purpose of the act – in concert with the Insurrection Act of 1807 – is to limit the powers of the federal government in using federal military personnel to enforce domestic policies within the United States. It was passed as an amendment to an army appropriation bill following the end of Reconstruction and was subsequently updated in 1956 and 1981. 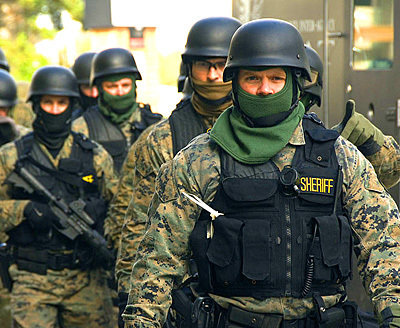 The title of the act comes from the legal concept of posse comitatus, the authority under which a county sheriff, or other law officer, conscripts any able-bodied man to assist him or her in keeping the peace. "And so I am trading in drugs," Lermontov told his visitor. "It is hardly what I expected when I became Grand Admiral." "I'm sorry, Sergei." Grand Senator Martin Grant had aged; in ten years he had come to look forty years older. "The fact is, though, you're better off with Fleet ownership of some of the borloi plantations than you are relying on what I can get for you out of the Senate." Lermontov nodded in disgust. "It must end, Martin. Somehow, somewhere, it must end. I cannot keep a fighting service together on the proceeds of drug sales—drugs grown by slaves! Soldiers do not make good slavemasters." "Yes, it is easy to think, is it not?" The admiral shook his head in disgust. "But there are vices natural to the soldier and the sailor. We have those, in plenty, but they are not vices that corrupt his ability as a fighting man. Slaving is a vice that corrupts everything it touches." Turning a new recruit into an actual functioning soldier is very tricky. It ain't easy training rational human beings to advance into harms way on command when the logical self-preserving option is to run away. In "boot camps", civilians joining the military are trained to become soldiers by the sergeants ("basic training" or "recruit training"). This includes a necessary transformation of the civilian's personality. It is sort of like brain-washing, but in a good way. A civilian mind-set will not work at all in a military environment (indeed, in a combat situation it can be fatal), the change over to a military mind-set is vital. It takes a military person to obey a command to charge into an enemy position blazing at you with a hail of bullets, most civilians would flee. 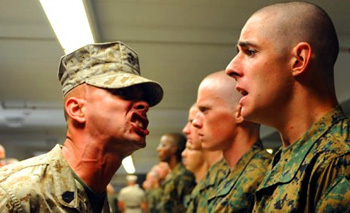 Some aspects of basic training are psychological: instructors reason that recruits who cannot reliably follow orders and instructions in routine matters will likely be unreliable in a combat situation wherein they may experience a strong urge to disobey orders or to flee and thereby jeopardize themselves, their comrades, and the mission. Volunteers in a combat unit will experience a unique level of 'agreement' among participants, termed unit cohesion, which cannot be equaled in any other human organization as each team member's life may depend on the actions of the recruit to their right or left. Special forces and commando units fully develop this unit cohesion. The process of transforming civilians into military personnel has been described by military historian Gwynne Dyer as a form of conditioning that encourages inductees to partially submerge their individuality for the good of their unit. Dyer argues that the conditioning is essential for military function because combat requires people to endure stress and perform actions that are absent in normal life. Military units are therefore incomparable to civilian organizations because each participant is in mortal danger and often depends on the others. When a new soldier gets their first three-day pass to go visit home, they are often warned that "home" will seem to have radically changed (actually it is the soldier who changed). The soldier will find that their family will understand their words but not their language. That's when the soldier realizes they are not civilians any more. After the recruit has finished basic training they then are given Advanced Individual Training. This is where they actually learn the technical skills required for their job. Basic training is mostly intended to transform a civilian into a soldier (granted they are given training in military universal fundamental skills, like how to use their combat weapon). "How you doing, turtle?" Lieutenant Cooter asked. He&apos;d raised his visor also. "See any Consies?" Suilin shook his head. "I just . . ." he said. "I just shot, in case . . . Because you guys were shooting, you know?" Cooter nodded as he lifted his helmet to rub his scalp. "Good decision. Never hurts t&apos; keep their heads down. You never can tell . . . ."
He gazed back at the burning waste through which they&apos;d passed. Suilin swallowed. "What&apos;s this &apos;turtle&apos; business?" he asked. Gale chuckled through his visor. Cooter smiled and knuckled his forehead again. "Nothin&apos; personal," the big lieutenant said. "You know, you&apos;re fat, you know? After a while you&apos;ll be a snake like the rest of us." "Hey," the reporter said in amazement. "I&apos;m not fat! I exercise—"
Gale tapped the armor over Suilin&apos;s ribs. "Not fat there, turtle," the reflective curve of the veteran&apos;s visor said. "Newbie fat, you know? Civilian fat." On spacecraft in general, and military spacecraft in particular, there will be a strict "chain of command." People with no management or military experience may not see the point behind a chain of command, but if such a person is suddenly given the task of managing a project (even a high-school bake sale) they will suddenly discover why it is vital. Attempting to run a spacecraft by a democracy or other laissez-faire system will probably result in the destruction of the spacecraft and the death of all the crew. Space is a far too deadly environment and spacecraft are far too full of dangerous equipment to leave things to chance. We would be "temporary third lieutenants" — a rank as necessary as feet on a fish, wedged into the hairline between fleet sergeants and real officers. It is as low as you can get and still be called an "officer." If anybody ever saluted a third lieutenant, the light must have been bad. "Your commission reads 'third lieutenant,' " he went on, "but your pay stays the same, you continue to be addressed as 'Mister,' the only change in uniform is a shoulder pip even smaller than cadet insignia. You continue under instruction since it has not yet been settled that you are fit to be officers." The Colonel smiled. "So why call you a 'third lieutenant'?" I had wondered about that. Why this whoopty-do of "commissions" that weren't real commissions? Of course I knew the textbook answer. "Mr. Byrd?" the Commandant said. "Uh . . . to place us in the line of command, sir." "Exactly!" Colonel glided to a T. O. on one wall. It was the usual pyramid, with chain of command defined all the way down. 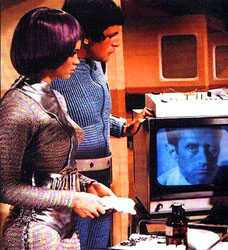 "Look at this — " He pointed to a box connected to his own by a horizontal line; it read: ASSISTANT TO COMMANDANT (Miss Kendrick). "Gentlemen," he went on, "I would have trouble running this place without Miss Kendrick. Her head is a rapid-access file to everything that happens around here." He touched a control on his chair and spoke to the air. "Miss Kendrick, what mark did Cadet Byrd receive in military law last term?" Her answer came back at once: "Ninety-three per cent, Commandant." "Thank you." He continued, "You see? I sign anything if Miss Kendrick has initialed it. I would hate to have an investigating committee find out how often she signs my name and I don't even see it. Tell me, Mr. Byrd . . . if I drop dead, does Miss Kendrick carry on to keep things moving?" "Why, uh — " Birdie looked puzzled. "I suppose, with routine matters, she would do what was necess — "
"She wouldn't do a blessed thing!" the Colonel thundered. "Until Colonel Chauncey told her what to do — his way. She is a very smart woman and understands what you apparently do not, namely, that she is not in the line of command and has no authority." He went on, " 'Line of command' isn't just a phrase; it's as real as a slap in the face. If I ordered you to combat as a cadet the most you could do would be to pass along somebody else's orders. If your platoon leader bought it and you then gave an order to a private — a good order, sensible and wise — you would be wrong and he would be just as wrong if he obeyed it. Because a cadet cannot be in the line of command. A cadet has no military existence, no rank, and is not a soldier. He is a student who will become a soldier — either an officer, or at his formal rank." Two Marines from Alexandria’s fifty-man contingent flanked the main entrance hatch into the ballroom when the three officers arrived. The Marines snapped to attention and saluted. Drake returned their salutes, and then stepped over the raised coaming into the ballroom. The large compartment had been configured as an auditorium, with rows of seats arrayed in front of a raised dias and podium. As Drake stepped over the threshold, there was a cry of "Ten-hut!" from one of the Marines. 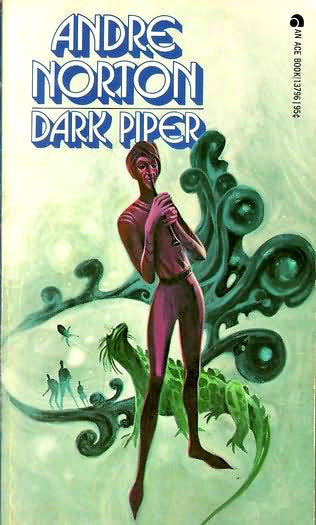 Scattered figures, all in uniform, jumped to their feet with ramrod straight spines and eyes facing front. An occasional civilian figure also stood, although in a much more relaxed manner. Most of the hundred-plus occupants of the compartment merely glanced up, and then went back to their individual discussions. Drake strode down the aisle at the side of the compartment, mounted the dias, and moved to the podium. While waiting for the noise to subside, he let his gaze sweep across the compartment. ... 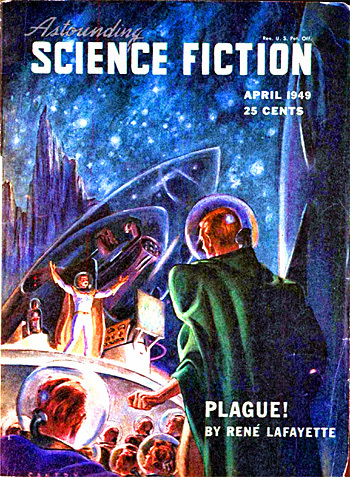 Professor Planovich was also seated in the second row, three seats to the right of Aster. Drake recognized a dozen other members of the scientific staff, including several women. Standing toward the back of the crowd were the captains and executive officers of the cryogen tankers, as well as several scout and landing boat pilots from Discovery and City of Alexandria. "Thank you for coming, ladies and gentlemen. I asked Captain Fallan to call this meeting in order to get a few things straight before we leave orbit for the deep black. First of all, I would like all those who did not stand when I entered the compartment to please do so now." There was a renewal of the crowd noises and no one moved for a second. Then, slowly, hesitantly, the powerful of Alta began to climb to their feet. First one, then two, then small groups, until finally, the scene was exactly reversed from that of a minute earlier. "For the next several months, you will all be living and working aboard this ship. As I am sure you have noticed already, we are too many people crammed into too little space, and there is little opportunity for incompatible personalities to get away from each other. This is quite normal, and we spacers long ago developed a code of conduct to minimize the stresses of shipboard life. The code is based on three principles: respect for one’s fellows, common courtesy, and the fact that a ship in space is no democracy. "One of the most basic principles of this code involves the respect given a commanding officer aboard ship. For many of the same reasons that one stands when a judge enters a courtroom, so too should you stand when a captain enters a compartment. The act is intended to show your respect for the position rather than for the man who fills it. Since each of you now standing has chosen to ignore this simple courtesy, you will pay for the oversight by reporting to Captain Fallan immediately after we leave orbit. He will assign you to forty hours of ship’s maintenance as a penalty. There were several seconds of shocked silence, followed by an explosion of protests. Drake let the noise wash over him, making no move to stop it. Eventually, all was quiet again. "I take it from your reaction that you think I’m being overly harsh," he said. "Damned right!" someone yelled from the back row. "You should be thankful to get off so easily. True, I could have ignored the unintentional insult you gave me. I could have explained why we have these quaint customs aboard ship, and asked you to humor us by complying with them. I could have, but I didn’t. In an emergency, your lives may well depend on your immediate, unquestioning obedience to my orders, or those of Captain Fallan. Since such obedience does not come naturally to anyone, I have chosen to educate you in a way that you will remember." "What if we refuse to knuckle under?" one white haired man in the fifth row asked. "Greg. Tobias Greg, Labor Council Chartered Representative." "Well, Mr. Greg. My response to willful disobedience of orders depends on the stage of the mission we are in at the time. For instance, if you are refusing my order at this moment, I will have the Marines put you bodily onto one of the supply shuttles and have you returned to Alta. Should your refusal come after we’ve left orbit, however, I just may have you shot as am example to others." Several Adam’s apples bobbed up and down as their owners swallowed hard, but no one spoke up. Drake continued: "Now, then, enough of this. Shall we get on with the real reason for this assembly? Commander Marston will read you the expedition orders." The organization of an astromilitary is a complicated subject. The structure of any military may seem a bit strange to civilians who have had no contact with it. One thing to keep in mind is that, strange as it may appear, the bottom line is that it works. You are looking at the result of thousands of years of practical refinement. Any historical armies that used military structures that did not work would have been eventually defeated, and the armies destroyed. All currently existing armies are the descendants of trial-by-combat, where they bury the people in second place. For those who are unfamiliar with the theory behind military ranks herein follows a simplistic primer. If you are familiar you can skip to the next section. Please note that this is simplistic, and I the author am a civilian. Take what I say with a grain of salt. If you want true accuracy I'd advise you to talk to real military personnel. The main division is between Officers and Enlisted Men. Basically the officers tell the enlisted men what to do. Specifically the officers hold "command" over the enlisted men. They also hold command over officers who are lower in the chain of command. The officers plan strategy and tactics to win the current war, and the enlisted men actually fight the battles according to the plan. It is vaguely similar to the difference between management and labor in a corporation, but with differences. As Jeff Tappan puts it: The officers give the orders, the NCOs ensure that the orders are carried out, and the enlisteds perform the actual tasks. In terms of the movie Metropolis the officers are the "head" and the enlisted men are the "hands." The various ranks of officers have different names, but in English speaking nations it runs broadly in order of rank Marshal, General, Colonel, Major, Captain, Lieutenant, and Officer Cadet. Enlisted men in the US are Corporals and Privates. 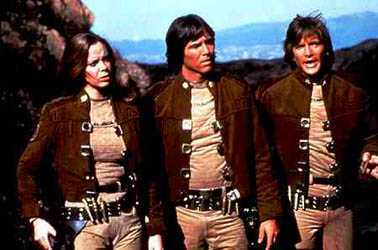 In stereotypical formula science fiction writing, characters who are officers are often archetypes from the trope "Command Roster", while characters who are enlisted men are often archetypes from the trope "The Squad". In between the officers and the enlisted men are the Non-commissioned officers (NCOs), though they are technically part of the enlisted men. These are the Sergeant majors and Sergeants. Officers hold command over the enlisted men, but the NCOs have "control" or "charge" over the enlisted men. Simplistically the officers command What while the NCOs control How. For instance, the Colonel will tell the Sergeant major that hill Whiskey-Tango has to be captured, and the Sergeant major will issue orders to the enlisted men to ensure that the ensuing battle achieves the objective. Sergeants are considered to be the backbone of the military. Sergeants also have the vital role of training civilizan recruits into enlisted men, "turning boys into men". See "boot camp" above. The senior sergeants also have the role of subtly training junior officers. As Wikipedia puts it, the senior sergeants give advice and guidance to junior officers, who begin their careers in a position of authority but generally lack practical experience. Meaning the junior officers are clueless newbies, often full of ivory-tower but totally impractical ideas of how to run things. The senior sergeants gently show the junior officers the error of their ways and show them what actually works in the real world. Wise junior officers rely heavily upon their sergeants. It is also a serious mistake for a junior officer to make a sergeant major angry at them. There are millions of subtle and deniable ways a sergeant major can make a junior officer's life miserable. Sergeants are the interface between the officers and the enlisted men. 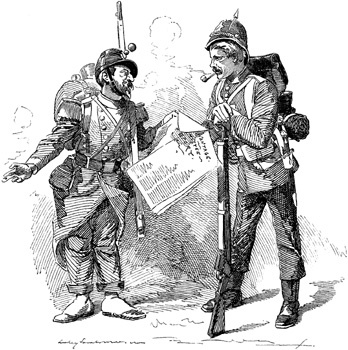 It is a big mistake for an officer to attempt to by-pass the sergeants and directly order the enlisted men. And if an officer wants to know the latest military rumors and scuttlebutt, they should just ask a sergeant. There are also Warrant Officers. While they are considered to be officers, their main job is being technical experts in various specialized fields. Officers are further divided into line officers and staff officers. The difference between line and staff is that line has the job of doing the core work of a military (i.e, winning battles) while staff has the job of administrative, operational and logistical needs of its unit. 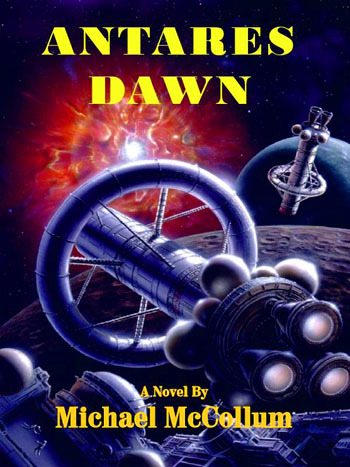 In the novel Starship Troopers, Robert Heinlein creates a rank known as "Sky Marshal". This is the supreme commander over both the space army and the space navy. Candidates for Sky Marshal need experience in both branches. 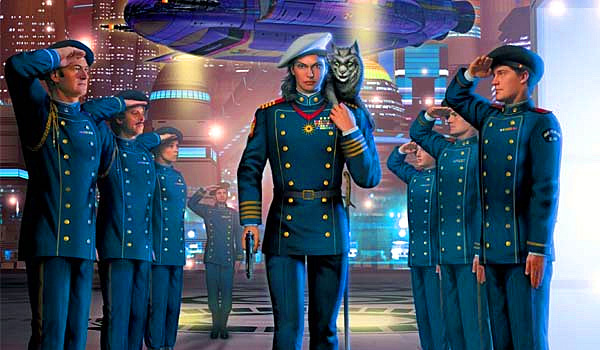 As the protagonist of the novel puts it: "A man can't buck for Sky Marshal unless he has commanded both a regiment and a capital ship — go through M. I. (army boot camp) and take his lumps and then become a Naval officer, or first become an astrogator-pilot (naval officer) and follow it with Camp Currie (army boot camp), etc. I'll listen respectfully to any man who has done both." The section about modeling the spaceship astromilitary on the wet navy or the air force has been moved here. Traditionally, the areas of the craft closest to the control rooms is known as "officer country", while the greasy cabled and be-piped areas inhabited by sergeants and enlisted men is known as "below decks" (though which is below what becomes an open question in microgravity). "We're safe enough," Lieberman said. "If the lieutenant would care to turn in, I'll see the guard's changed properly." He followed me back to my quarters. Hartz had already fixed the place up. There were fresh adobe patches over the bullet holes in the walls. My gear was laid out where I could get it quickly. Hartz had his cloak and pack spread out in the anteroom. There was even coffee. A pot was kept warm over an alcohol lamp. "You can leave it to us," Lieberman said. Hartz grinned. "Sure. Lieutenants come out of the Academy without any calluses, and we make generals out of them." "That may take some doing," I said. I invited Lieberman into my sitting room. There was a table there, with a scale model of the fort on it. Flawn had made it, but it hadn't done him much good. "Have a seat, Centurion. Coffee?" "Just a little, sir. I'd best get back to my duties." "Call me for the next watch, Centurion." "If the lieutenant orders it." "I just — what the hell, Lieberman, why don't you want me to take my turn on guard?" "No need, sir. May I make a suggestion?" "Leave it to us, sir. We know what we're doing." I nodded and stared into my coffee cup. I didn't feel I was really in command here. They tell you everything in the Academy: leadership, communications, the precise form of a regimental parade, laser range-finding systems, placement of patches on uniforms, how to compute firing patterns for mortars, wine rations for the troops, how to polish a pair of boots, servicing recoilless rifles, delivery of calling cards to all senior officers within twenty-four hours of reporting to a new post, assembly and maintenance of helicopters, survival on rocks with poisonous atmosphere or no atmosphere at all, shipboard routines, and a million other details. You have to learn them all, and they get mixed up until you don't know what's trivial and what's important. They're just things you have to know to pass examinations. "You know what you're doing, Centurion, but I'm not sure I do." "Sir, I've noticed something about young officers," Lieberman said. "They all take things too serious." "Command's a serious business." Damn, I thought. That's pompous. Especially from a young kid to an older soldier. He didn't take it that way. "Yes, sir. Too damned serious to let details get in the way. Lieutenant, if it was just things like posting the guard and organizing the defense of this place, the service wouldn't need officers. We can take care of that. What we need is somebody to tell us what the hell to do. Once that's done, we know how." I didn't say anything. He looked at me closely, probably trying to figure out if I was angry. He didn't seem very worried. "Take me, for instance," he said. "I don't know why the hell we came to this place, and I don't care. Everybody's got his reasons for joining up. Me, I don't know what else to do. I've found something I'm good at, and I can do it. Officers tell me where to fight, and that's one less damn thing to worry about." This is always a delicate question in any nation that has a military. Unless the nation is ruled by a military junta, the military is theoretically controlled by the civilian government. But how does the civilian government enforce this when the military is the one with all the guns? Or worse, what if the military decides it deserves to control or even become the government, and tries a Coup d'état? As the Roman poet Juvenal said "Quis custodiet ipsos custodes?" or "Who will guard the guards themselves?" If the military seized power over the government, the coup is successful and the government becomes a military junta. If the military is defeated the coup is unsuccessful, and the punishment for the coup leaders is likely to be very savage. Civilian politicians have absolutely no sense of humor about somebody trying to take away their power. If the military coup is a draw, you probably have the start of a horrific decades-long civil war. There are a few methods of asserting civilian control over the military. They work pretty well, but none are fool proof. 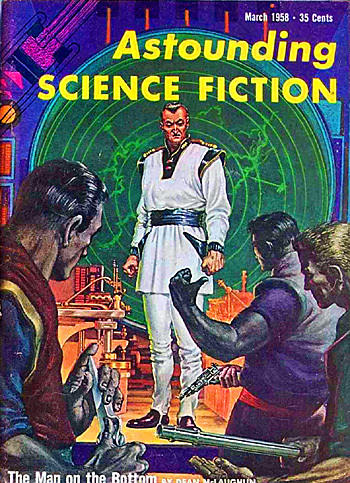 Examples of military coups in science fiction include Mobile Suit Gundam ZZ, the movie Akira, new Battlestar Galactica, the story arc of Babylon 5 with the virtuous General Hague leading an attempted coup against evil President Clark, and in Deep Space 9 Starfleet Admiral Leyton attempts a coup on Earth. Amusingly enough, General Hague and Admiral Leyton were played by the same actor: Robert Foxworth. The creator of Babylon 5, J. Michael Stracynszki, was annoyed at the producers of Star Trek. It seems he approached them when trying to get Babylon 5 produced and showed them the concept and story arc. The Trek producers turned him down. Then a few months later they suddenly created Deep Space 9, which has a suspicious number of similarities to B5's concept and story arc. So Mr. Foxworth taking an acting job with the Star Trek producers was an act of treason, as far as Mr. Stracynszki was concerned. Mr. Foxworth discovered that he had no future role at Babylon 5 since his character was abruptly killed off in a hasty re-write of the current B5 episode. Issac Kuo: Typically, the first job of the military is to deter/suppress revolutionaries. The irony, of course, is that it's usually the military itself that revolts and takes over. Rick Robinson: This is one of the grotesquely funny things about the modern era. At least since 1945, political leaderships have generally had far more to fear from their own army than from anyone else's. Issac Kuo: Yeah, 'cause the Ancient Romans never had this problem. Back when I was in high school, I noticed that South American nations seemed to be prone to military coups and juntas. I was curious as to why that did not happen in the United States. The answers I got boiled down to "the indoctrination which new officers receive at West Point." Arius: At this point, I think there's more to it. When is the last time a first-world democracy had that problem? I think there's a cultural/social aspect to it, and a wealth aspect. It's hard to get a lot of people to overthrow a government when life is good. And let's face it: compared to any place that's had a military coup in the last 60 years, life is generally pretty good in the US. It's hard to get people who have Nintendo, 1000 channels of cable movies, complete Internet access, and a beer fridge to get excited about overthrowing the government. LOL. But the intriguing flip side is eras in which the military coup was more or less unknown. European monarchies generally had very loyal forces from the end of the era of baronial revolts till the 19th century. In Scotland the Stewarts never got usurped, even though for 200 years they had a consistent pattern of long royal minorities. Also, navies have been far more loyal than armies — historian William H. Neil observed that sailors hitting the beach have other things in mind than staging coups on behalf of their commanders. Space empires whose primary forces are fleets may be safer domestically than if they depended mainly on armies. Which also plays into the layered defense of a planet. You may want to put more of your resources into the space layers, as less prone to march on the capital than a last ditch surface-army layer would be. Agree. Officer indoctrination is just the final layer of a layered defense, so to speak. For one thing, the indoctrination would be useless if cadets picked up the vibe from their instructors that it was all a mickey mouse drill to make civilians happy. When IS the last time a western democracy had a coup? Hitler came to power legally, even Mussolini demi-legally, and those were democracies with very shallow roots. The French Third Republic, no tower of stability, had only the Boulanger farce. I'm not counting coups backed by overwhelming foreign force, like Czechoslovakia c. 1948.
think that's a bit too glib. It's more about reliable on the rule of law, and built-up reliance in the stability of the democratic system.